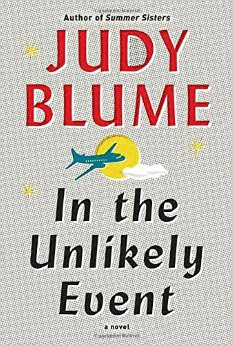 Our book club pick for August was In the Unlikely Event by Judy Blume. Available on Amazon here. When I heard Judy Blume was releasing a new book, I was super excited. Then people started reviewing it and it wasn't amazing. I tried to start it several times but each time my eyes would glaze over and all of a sudden I'd be picking up another book or turning on netflix. You know it's not good when you do that. Eventually, I got the audiobook because it was easier to listen to than read. Overall, 3 stars. Anyway. This book was good. It was not bad. But holy moly multple POVs. Seriously, this had more POVs than Game of Thrones. To be honest, at first it was seriously boring. Not to mention, I highly recommend that a person should stay away from books that focus on something that terrifies them. So, if you are scared of flying / plane crashes... Steer clear. This also could have been a contributing reason to the indifference I feel for this book. Honestly, at the end I felt like I enjoyed it overall, but I would not read it again. It's well written for the most part, because it is Judy Blume, but I wanted so much more from her which might have been unfair of me. It's interesting, the characters are interesting, but none of it is oh my gosh I can't put it down edge of my seat attention grabbing. It kind of upsets me that I didn't love it because Judy Blume was such a huge part of my childhood and adolescence. I wanted to love this book, but I feel like I should have left Judy in my past. Like how I am sure many people feel with the 'new' Harper Lee book, or how I would feel if Jane Austen suddenly rose from the dead and wrote 50 Shades of Darcy.. which, um, I would totally read, Jane. Anyway. Do I recommend? Eh. 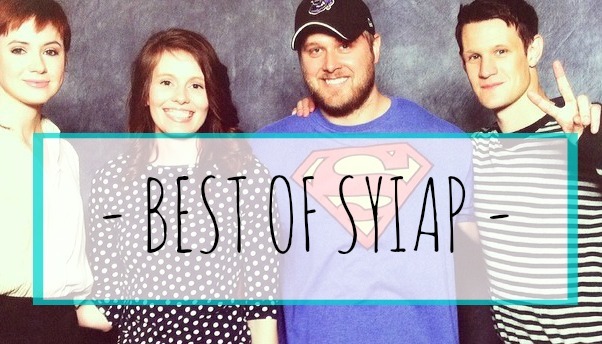 If you're a fan, you're probably gonna read it anyway. It's not bad, it just wasn't great. Moving on! Our book club pick for September is Throne of Glass by Sarah J. Maas. Available on Amazon here. and the kindle is only 99 cents what! This has been on my list for aaaages so I'm excited to finally get to it. The 5th book in the series comes out today, and if it doesn't look like your kind of book I understand... it is a Cinderella retelling, apparently, so the chances of me loving it are like a 100%. I hope you will join us! 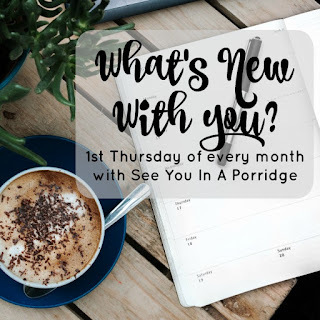 Feel free to link up below for this month. I was debating on reading that Judy Blume book next but maybe I'll hold off. The multiple POVs thing can be fun but it can also be super annoying. Can't wait to hear how you like Throne of Glass! JB was my fav author as a kid so it's disappointing to hear (not just from you) that this book was "meh". Ok, I'm finally gonna get my act together and join your book club. The summer was crazy but a return to reading is in the works as I type this...The new pick sounds awesome! Omg 50 Shades of Darcy just made me choke on my coffee, hahaha! I'm so glad that you agreed with me about this book. I thought something was wrong with me because I can not finish it. I've tried so many times and it just seems like it'll be one of those books I read a few chapters of every few months and never finish. I think it's due to all the POVs like you said..way too many and I don't even know who half the characters are! So we basically wrote the same thing ha! Kinda meh and a little bleh is my sum up! Ah well. Still doesnt ruin my Blume childhood moments! I'm adding Throne of Glass to my holds and going to give it a go! I don't think I could handle the multiple POVs. In the unlikely event is on my to read list, but it's good to know that it's just an alright book. I guess as you grow up you don't love some of your teenage favourites anymore (though I still love Harry Potter) but it's Judy Bloom and I just can't resist! I have to admit I skipped the book club book this month. The title and anything to do with aviation crashes...well, you know where I am with that right now! But I will get the next one because for 99 cents why would I NOT try it?! I love that you are actually fair with your rankings! 3 stars... probably not going to pick it up, but GRATEFUL that I'm not going to do it. And good for you for getting something off your list! I was anxious to hear what you had to say about it - but yep, I'm the one who is terrified of flying so I'm staying away! You know how I feel about this - I am down with multiple POV but this was a little insane. I am going to attempt it again in the fall, I feel like my mindset will be better then? More patient? Curl up with a book that requires a lot of attention when it's cold and dark out? I don't know. Oh bummer! I hate that it wasn't amazing. I had high hopes for this one! I can't imagine Judy Blume ever being boring but I can see how multiple POVs can be exhausting. I think "The Help" did POVs so perfectly. Just the right amount and with enough depth to saturate you with one at a time. I actually skipped the book club this month because I was on vacation and things were just too crazy but I am almost glad I did. I love Judy Blume from when I was a kid and I would hate to tarnish my memory of her because her latest book stunk. Bummer about that Judy Blume book! I have a fond memory of some of her books from when I was younger. 50 Shades of Darcy ... ha. haha. hahahahaha. Um, no shame, I would totally read it, too. What a total bummer about this book! It has been the ad on my Kindle's sleep mode for like a week straight, so I'm glad I didn't bite the bullet and buy it. I guess some authors are just better left to our youth. I'm intrigued by this new book club book, though - so it's like a version of Cinderella? I had this book on my to be read list but I think now I'll just take it off. I'm glad I didn't start reading it. Thanks for the review; I think I'll pass on this one. I was never a huge Judy Blume fan away. I have never actually read a Judy Blume book, sorry it wasn't great. You know it's bad when you would rather do anything else but read it. Ok! So I kinda really thought that Judy Blume was deceased... She's still around?! Or is it a ghost writer/author who's owned by a publisher and they continue to publish under her name even though she's not real? Didn't she write in like, the 50's and 60's? Or am I just really dumb and way off? A Cinderella retelling, that sounds fabulous!!! So I read In the Unlikely Event for the book club and realized I couldn't write a post because I had like three sentences worth of things to say. I will include it in my books I read this summer post though! I agree with you-WAY too many points of view and just plain boring for the first half. I was more interested in Miri's life than anything else. I don't think I could read the Judy Blume book because I am too afraid of flying/plane crashes! 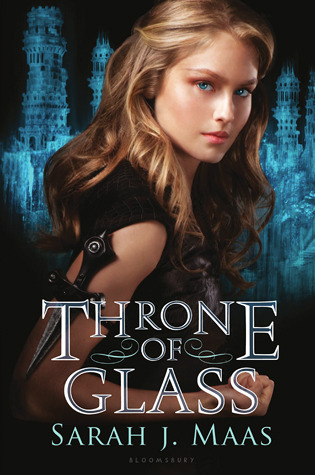 I might try to join you in reading Throne of Glass this month because I loved Cinderella! Ugh. I'm on the waiting list at the library. We'll see....I like multiple POVs and, oddly enough, I can follow them better in a book than I can on a t.v. show or movie. I'm weird about this. I really enjoyed Judy Blume in my childhood, but for some reason, I want to keep her in my childhood. I think it's the fond feelings I have...the nostalgia...I want to keep them just the way they are. Oh gosh, I'm a little sorry to read this :/ Judy Blume is one of my favorite people to ever live and all of her works have affected me deeply and profoundly. I haven't gotten around to reading this yet (the copy you sent me had something weird going on in the formatting, and I'm next in line for the audiobook from my library) and I still will, but now I'm thinking I'm relieved I have the audiobook coming in. Hopefully that'll make it better for me. Thanks for the honest review, despite the lack of awesomeness. thanks for your honesty! i love your reviews, and was curious about the Judy Blume one. I'll probably skipit. So you've confirmed what the internet is saying, the book was just ok. The next book sounds interesting though! After I've finished the LL challenge, I'll see if I can read it! Sorry about the Judy Blume disappointment. 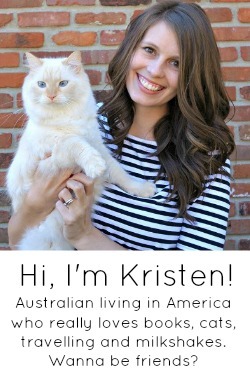 I loved her books too as a kid! I wanted to read the Judy Blume book but the library got it to me too late. By the time I picked it up there was no way I was going to finish in time. Oh well. Throne of Glass sounds interesting. I'm on the fence. I still have a lot to wrap up! i've been meaning to check out this book.. but haha how is it possible to have more pov's the game of thrones?! i can't even follow that series at all. I think I gave it 4 stars, but I totally relate to your feelings about it. It made me feel pretty depressed for the week I was reading it - not the only contributing factor, haha, but it was weird. I definitely didn't love it, and wouldn't necessarily recommend it, but overall it wasn't the worst book ever and the writing was good. I guess I just didn't love the characters or the time period. Skipped over this for now because it's on TBR list-- I'm constantly like one month behind finishing the books for the book club! Do you happen to ever pick books 2-3 months out so I can get a head start, haha. It's hard to have any complaints about this place. It's easy to get a drink since they actually keep enough bartenders working at once, and at venues in NYC you'll almost always find a place to sit. I love the vibe, the area, the people and the food at this place.